What Are the Different Types of HVAC/R Careers? HVAC/R is not a one-size-fits-all career. With job growth for heating, air conditioning and refrigeration mechanics and installers (49-9021) set at 14 percent through 2024, 1 the HVAC/R field is also diverse in the types of jobs it offers to people who specialize in this profession, depending on their level of training and experience. While the equipment in these fields operate on the same principles, they have differing capacities and levels of complexity. 2 The technician’s job title and years of experience determine what types of equipment they operate on a jobsite. They may also drive to pick up components or complete other errands. Basic safety training and a clean driving record are required. Medium-to-large contracting companies typically employ entry-level helpers. Requirements for the position include knowing how to read blueprints, lay out ductwork, braze and use basic hand tools. Checking that it starts right. Checking that the equipment runs safely and efficiently. Recording information necessary for the warranty. These professionals must possess good writing and reading comprehension skills, know how to troubleshoot electrical equipment and be proficient in refrigerant charging. HVAC/R service technicians are responsible for regularly assessing equipment and identifying what type of maintenance is required. Diagnosing system problems and making repairs is also a big part of their job, so they must be good at troubleshooting air-distribution, electrical and refrigerant problems. 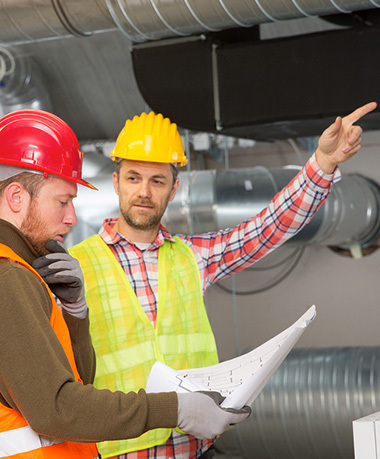 Service managers direct the operation of an HVAC/R company or maintenance department, from assigning specific jobs to technicians to overseeing the outcome of each employee’s work. Systems designers and engineers must have a knack for details and possess strong physics, math, computer and communications skills. At the senior level, individuals typically either own or run an HVAC/R business. Technicians might work up to managerial positions over several years or open their own establishments once they’ve gained enough experience in the industry. HVAC/R business owners and supervisors are often responsible for marketing and financial management—tasks not typically delegated to technicians. No secret formula for running a successful HVAC/R business exists, but treating employees and customers with honesty and respect can go a long way. Where Do HVAC/R Professionals Work? Want to learn more about the nature of an HVAC/R career? Check out our infographic about where an HVAC/R job could take you, or request more information about our school or to schedule a tour.